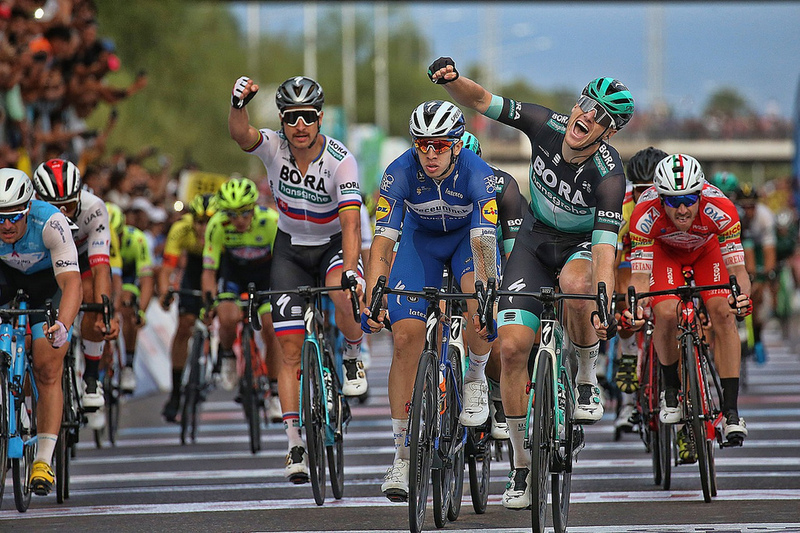 Sam Bennett has sprinted in at the head of the main field to win the final stage of the Vuelta a San Juan; a victory in his first race of the season. 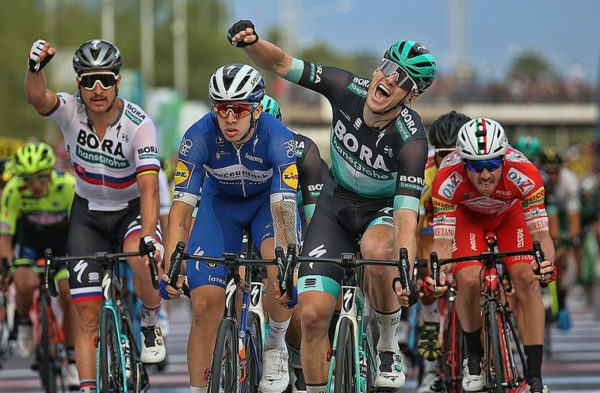 Irish sprinter Sam Bennett has gotten his 2019 season off to a strong start with a victory at the Vuelta a San Juan. The race in Argentina was Bennett’s first of the year. And he took the final stage after 141.3km into San Juan. Bennett’s Bora-hansgrohe team worked very hard to lead him out. However, Bennett looked out of contention as the sprint opened up. But the Carrick-on-Suir man simply powered up the outside; making up huge ground on his rivals and passing them all to win. He got the verdict ahead of Alvaro Hodeg (Deceuninck-QuickStep) and his own team mate Erik Baska who was trying to lead him out. It was a really impressive turn for speed from last year’s Giro d’Italia treble stage winner. Indeed, the manner of his victory suggests he is already in mint condition. 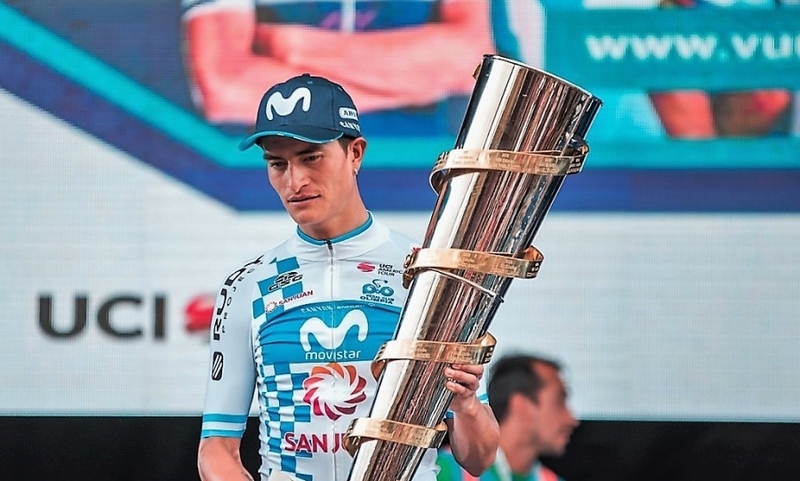 The overall victor, Movistar’s Anacona. Sam Bennett had taken 3rd on the opening stage and also won the bunch sprint yesterday for 4th place after three escapees survived. Bennett had said he felt good on the race and he was true to his word today; pulling the trigger at the last for a big win. On the opening stage, won by Fernando Gaviria (UAE Team Emirates), Bennett looked by far the fastest in the sprint. Unfortunately as Peter Sagan led him out he lost the former world champion in the chaos approaching the line. And while Bennett was finding his way through the front of the bunch, Sagan inadvertently drifted into him and blocked his sprint, forcing him to freewheel for a moment. Sam Bennett still squeezed in to take 3rd place, but his turn of speed was clearly much faster than everyone else. And today when he got a clear run at the line; he proved he was by far the best. The race was won overall by Winner Anacona (Movistar); Bennett claiming the final day as an early breakaway was brought back late.